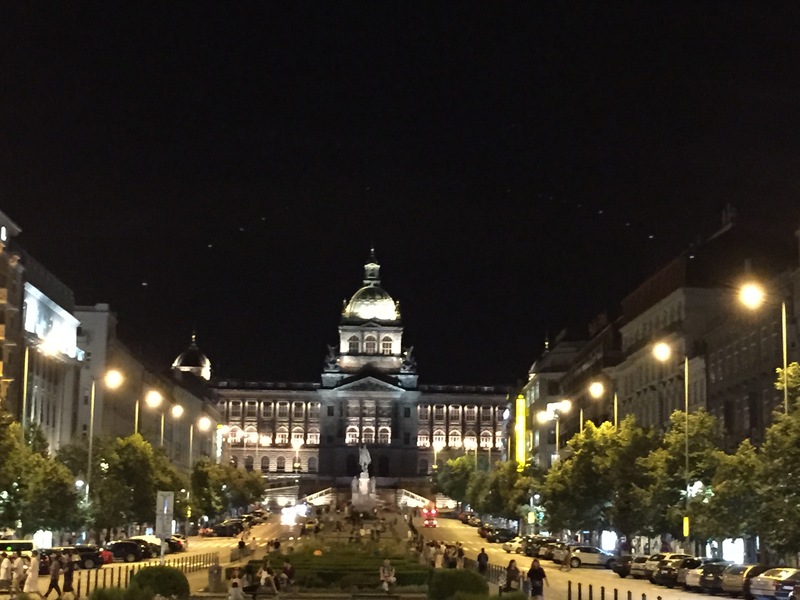 The IRTF Information-Centric Networking Research Group (ICNRG) had another ICN research fest with two meetings this week in Prague where IETF-93 is taking place. ICN is an approach to evolve the Internet infrastructure to directly support information distribution by introducing uniquely named data as a core Internet principle. Data becomes independent from location, application, storage, and means of transportation, enabling in-network caching and replication. This enables the design of more robust, secure and better performing networked systems. 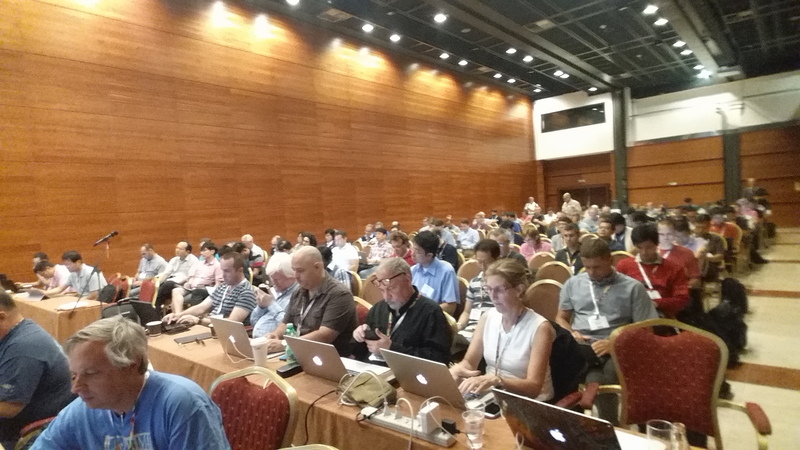 This week, more than 100 researchers got together to discuss recent advances in protocol development, performance optimizations, user privacy and new use cases. One of the protocols that are developed in ICNRG is CCNx, a network protocol that provides requests (Interests) for named data and Content Object responses. The protocol semantics are specified in draft-irtf-icnrg-ccnxsemantics, and the protocol format is specified in draft-irtf-icnrg-ccnxmessages. The ICN community is currently discussing several extensions to the protocol, including support for “manifest” objects, which would facilitate the distribution of larger, chunked objects and add additional performance and flexibility to ICN systems. Another highlight of the meeting was a presentation by Iannis Psaras from UCL on Solving the Congestion Problem using ICNPrinciples, an approach that is using Resource Pooling as a tool to manage uncertainty in congestion management. Vasilis Sourlas (UCL) presented Information Resilience through User-Assisted Caching in Disruptive Content-Centric Networks. The corresponding paper won the IFIP 2015 best paper award and describes work from the GreenICN project. The approach relies on a modified NDN router design that features a “Satisfied Interest Table” (SIT) that enables user-assisted caching. Bengt Ahlgren (SICS) presented on the Applicability and Tradeoffs of ICN for Efficient IoT (draft-lindgren-icnrg-efficientiot). This document outlines the tradeoffs involved in utilizing Information Centric Networking (ICN) for the Internet of Things (IoT) scenarios. It describes the contexts and applications where the IoT would benefit from ICN, and where a host-centric approach would be better. The requirements imposed by the heterogeneous nature of IoT networks are discussed (e.g., in terms of connectivity, power availability, computational and storage capacity). Design choices are then proposed for an IoT architecture to handle these requirements, while providing efficiency and scalability. An objective is to not require any IoT specific changes of the ICN architecture per se, but we do indicate some potential modifications of ICN that would improve efficiency and scalability for IoT and other applications. Dirk Trossen (Inter Digital) presented IPoverICN – the Better IP?, a presentation of the EU-H2020 POINT project that is developing an IP over ICN system. The hypothesis of this project is that IPoverICN has the potential to run IP services better than in standard IP networks. Mark Stapp (Cisco) presented on Private Communication in ICN. This presentation asks the question whether ICN needs better privacy protection to achieve parity with IP for user privacy in the presence of ubiquitous encryption. The discussion initiated an intensive discussion on privacy requirements for ICN that will continue in upcoming meetings. Jan Seedorf (NEC) presented on Using ICN in Disaster Scenarios (draft-seedorf-icn-disaster/). This is a presentation of the GreenICN project and summarized some research challenges for coping with natural or human-generated, large-scale disasters. Further, the document discusses potential directions for applying Information Centric Networking (ICN) to address these challenges. All presentations and detailed notes can be found at the ICNRG Wiki.